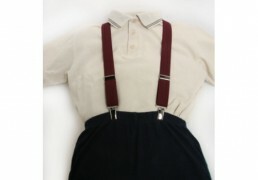 These clothes braces not only hold up your little boy or girl's trousers, but also add a finishing touch to your child's outfit. Perfect for Holy Communions, Confirmations, Weddings or everyday wear! 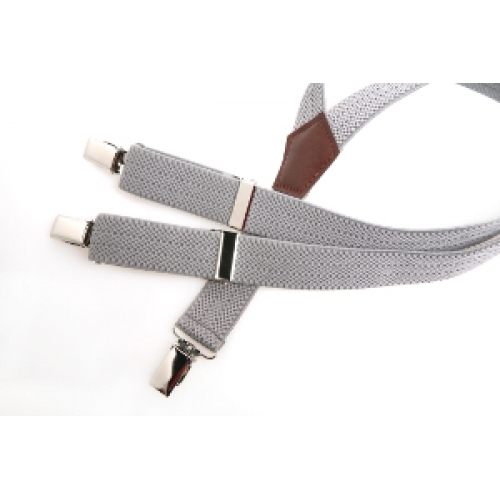 Made in a traditional 'Y' shape with a 1 inch width stretch woven material, these braces can fit babies, toddlers and young children: 8 months up to 8 years. The full length of the braces are 70cm. 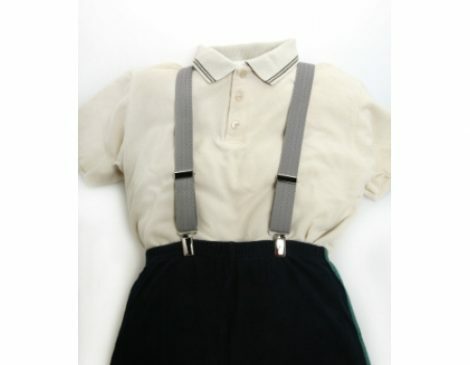 Categories: Clothes Braces, Sale. Tags: accessories, clothes, communion, confirmation, wedding, braces, children. 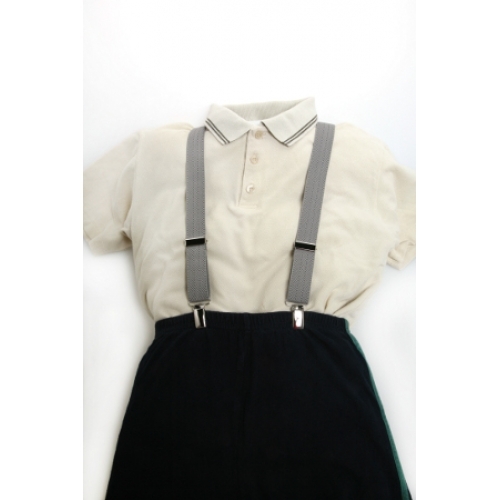 These clothes braces not only hold up your little boy or girl’s trousers, but also add a finishing touch to your child’s outfit. Perfect for Holy Communions, Confirmations, Weddings or everyday wear! 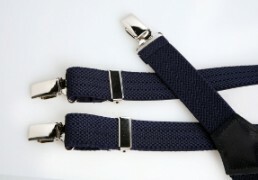 Made in a traditional ‘Y’ shape with a 1 inch width stretch woven material, these braces can fit babies, toddlers and young children: 8 months up to 8 years. 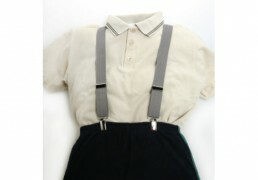 The full length of the braces are 70cm. 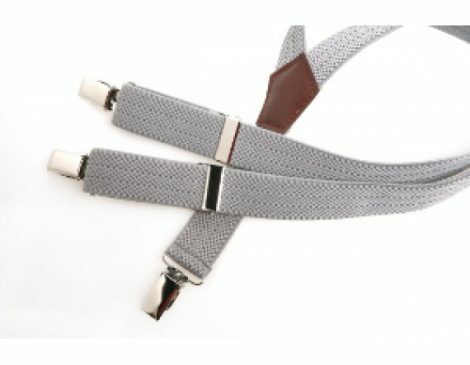 Made in a traditional 'Y' shape with a 1 inch width stretch woven material. The full length of the braces are 100cm. Add a finishing touch to your boy’s special outfit with one of these high quality dickibow ties made from 100% polyester material. Perfect for Holy Communions, Confirmations and Weddings. 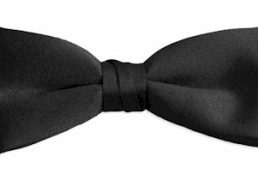 Made from 100% polyester material, at it’s tallest point, the bow measures 5cm (2″), and is 8.75cm (3.5″) wide. 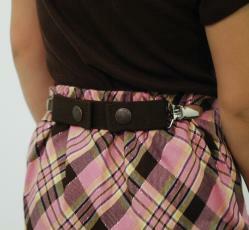 The adjustable band gives a smarter look, measuring 26.5cm – 40cm. Keep your little one’s pearly whites clean, and massage their tender gums with the ultra-soft silicone bristles on the Raz-a-Dazzle Toothbrush. 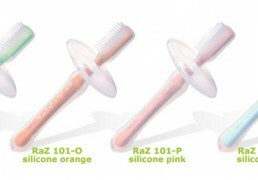 The special silicone shield protects baby from over-insertion. Softer & safer for Baby, and BPA-Free. No Belt Loops? No Problem! Now, with Dapper Snapper belt clips, you can use your favorite Dapper Snappers toddler belt or adult belt even if you don’t have belt loops! Dapper Snappers clips are specially made to accomodate Dapper Snappers. All you have to do is slide your dapper snapper through the clip loops.